Be sure to read to the bottom for the GIVEAWAY! For me, cold and wintery weather means that oatmeal or hot cereal is commonly on the menu for breakfast. It warms you up from the inside and gives you the energy needed to go about your day. Brookfarm have come up with a new GF porrij that I have been loving on these winter mornings! 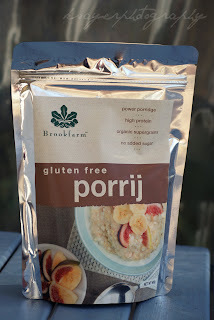 The Gluten Free Porrij is high in protein and full of flavour, and is a delicious mix of brown rice, millet, quinoa, amaranth, almonds, flaxseeds, macadamias and cinnamon. It has no added sugar, preservatives or additives and is low in sodium and cholesterol free. Each serve has around 6g of protein and that's only increased by what you cook it with and add to it! Brookfarm recommend cooking their porrij in the microwave, however I found cooking on the stove made it even more delicious and creamy, just as you see on the picture above! I love topping it with raisins or dates and a dollop of peanut or almond butter - and don't forget boatloads of cinnamon! Another way I like to make it is by adding in a mashed banana whilst cooking and then topping it with nuts or a dollop of nut butter (don't you remember, I'm a nut butter addict). 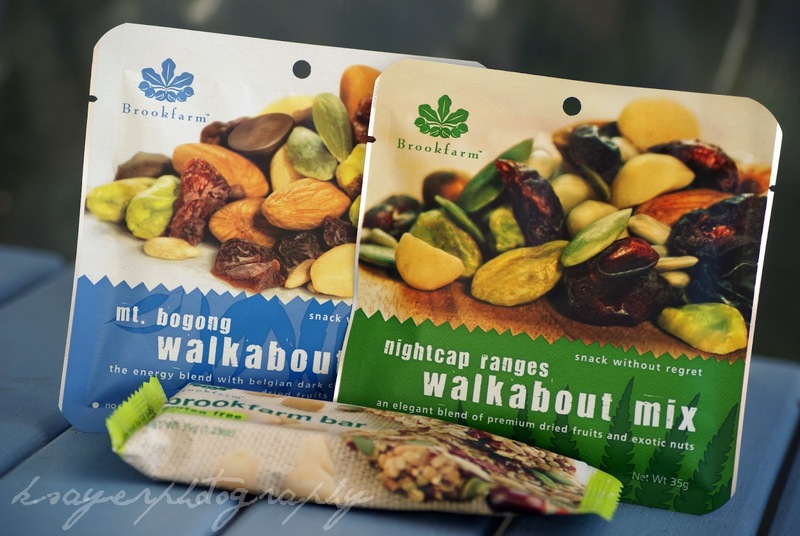 Brookfarm also make way more gluten free products than their Gluten Free Porrij, including GF Muesli, Walkabout Mixes (trail mixes) and gluten free bars! While you can buy them from stockists worldwide and their online store, I wanted to give you a chance to try them for free! 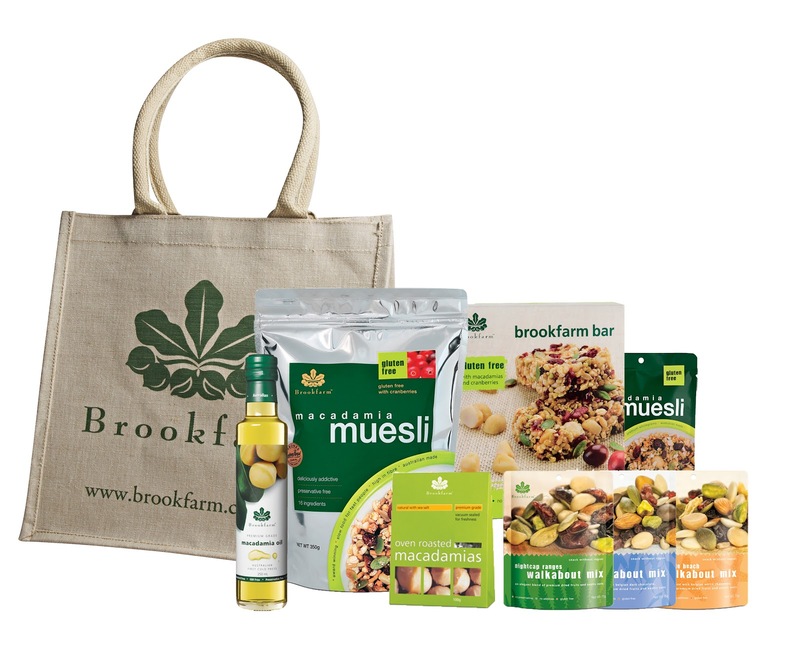 All in a super awesome Brookfarm bag! All you have to do to enter is tell me - What's your favourite wintery breakfast? Share the link to this competition with your friends on Facebook or Twitter with a link to my facebook/twitter page. Make sure I have a way to contact you (anonymous comments can't be counted unless you send me an email with a copy of your comment to southerninlaw@gmail.com) so I can let you know if you win! 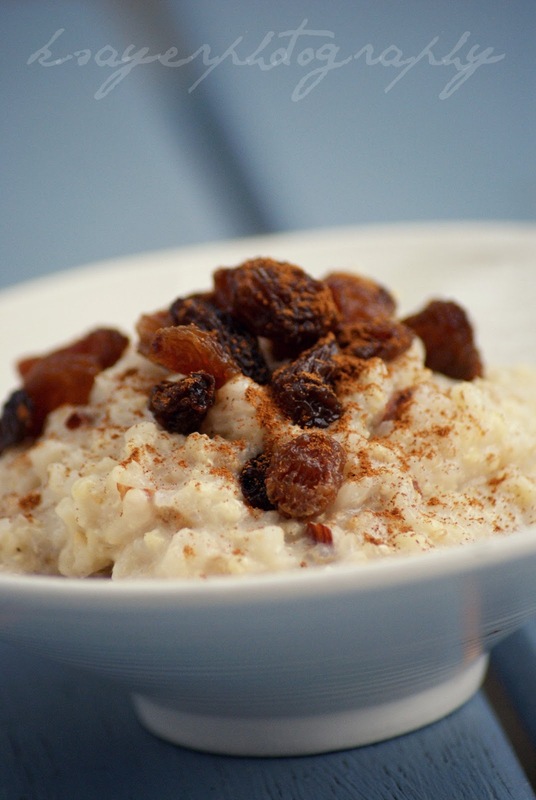 Porridge with raisins and lots of honey and nutmeg! Hot pancakes with raspberries and blueberries made by hubby. Yum! Ps - those walkabout mixes are actually really good. I love to make a fluffy egg white omelette to treat myself on the weekends. Fresh avocado, ricotta and grilled mushrooms cooked in whipped egg whites - what more could you want! Raisin Toast, with butter and cinnamon and a hot coffee.. I love a nice big bowl of hot porridge, with a sprinkle of bran for crunch and a large cup of english breakfast tea. Rice porridge made with milk, add sultanas and dark brown sugar. Can't forget the cup of earl grey tea also! i just wanted to say i got married at 19 to my lovely husband who was 21 at the time, 5 years later we are happy, healthy and have a 18 month old son. dont believe people when they say you are to young to get married! Slowcooked Molasses Baked Beans with ham hock, onions, tomato and a poached egg on top. I love poached eggs on gluten free toast and a large cup of coffee. Simple yet filling. I once tried a spicy Asian-style rice soup with boiled eggs. That was the best winter warmer I've ever had.